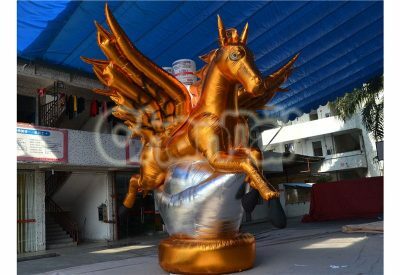 Giant Inflatable horse is a blow up horse for the purpose of advertising and decoration. Life size inflatable horses are the best promotional adornments for horse businesses, such as horse farm or horse races and betting. The colors of horses can be custom to black, pink, white and others. 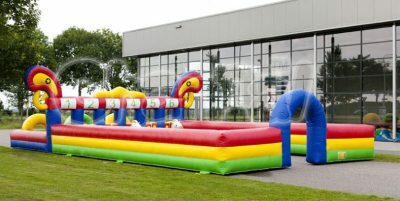 Inflatable horse derby racing game is an inflatable game that players ride on inflatable bouncy horse hoppers and race with each other in the inflatable racing track with multiple lanes. 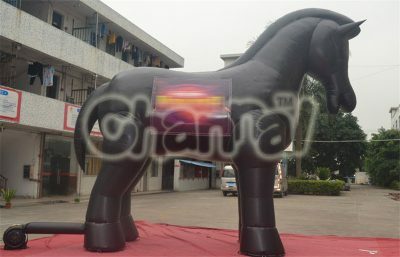 Channal Inflatables is a professional horse inflatables manufacturer and supplier in China. Contact us for more details.